Red grape varieties are planted on about one fifth of are of the vine yards in Slovakia. The most grown is delicate Frankovka modrá, lighter wines from Modrý Portugal, Rulandské modré, and Svätovavrinecké are produced, althoug the same regions are providing amazing styles of Cabernet Sauvignon and even tenturiers such as Alibernet or Neronet. New grape varieties originating in Slovakia - Dunaj and Váh, Nitra or Hron, as well as cultivars from neighbouring countries - Zweigeltrebe and André. 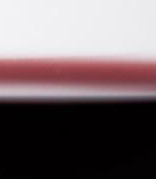 Quite rare wines from subsidiary varieties Dornfelder, Cabernet Franc, Merlot or Syrah. Rosé wines are mainly produced from the most grown Frankovka modrá, Svätovavrinecké and Cabernet sauvignon, although Zweigeltrebe, Merlot and the combination of more grape varieties for one wine can be infrequently found as well. Slovak rosé wines are produced as Quality wines and wines with attribute - kabinetné, neskorý zber and výber z hrozna with residual sugar in Suché, Polosuché and Polosladké levels.